Stacey Wilson is an artist, graphic designer, promoter, and event planner known for her acrylic and ink works of comic book/graffiti-esque art on wood, canvas, and sneakers, which has been both televised and published. 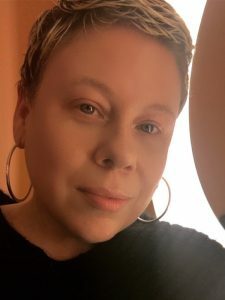 One-half of Creative Connectors, she has produced and promoted thousands of events over the past 18 years, including Tastytreats (which had been the longest running party in Philadelphia, hosted weekly for 13 years), and has worked with Prince, DJ Jazzy Jeff, Questlove, and many more. Wilson has been recognized by the Greater Philadelphia Tourism + Marketing Corporation as a Creative Ambassador of Philadelphia and also teaches classes in graphic design, event production, and art. She is the founder of Flygirrl, a place where art, design, music, and groundbreaking promotions come together with consistency and style.